Lindsay and I have been on the road together since October 5, 2016 and we’ve been dreaming of Tuscany since the start of our journey. We knew we’d be visiting my family in Northern Italy close to Parma, but we were not entirely sure what other cities we’d choose to see. I’d been to Florence twice – once in the summer of 2005, and again in March of 2008. I remembered liking Florence for its walkability, great pizza and good sandwiches. This time around, we were looking for a small town to explore without having to use a car, so I thought Florence might offer us a lot of what we were looking for. In 2005 I remembered there being a lot of English speakers roaming around Florence, so I purposely didn’t pick the city when I studied abroad in college because I wanted to learn Italian through full immersion. When I was back in March 2008, I remembered liking the city much more, perhaps because it was low season and the swarms of tourists hadn’t yet started to descend on the city. It didn’t occur to us that in May (when we headed to Florence), the city would be swarming with so many people since the summer season was just beginning. Lindsay and I learned that there are over 11 million tourists per year who visit Florence, which has a population of about only 383,000! This makes it very likely that you’ll interact with more foreigners than locals while visiting. Since it’s largely a tourist town, we found it pretty difficult to find authentic Italian experiences there. 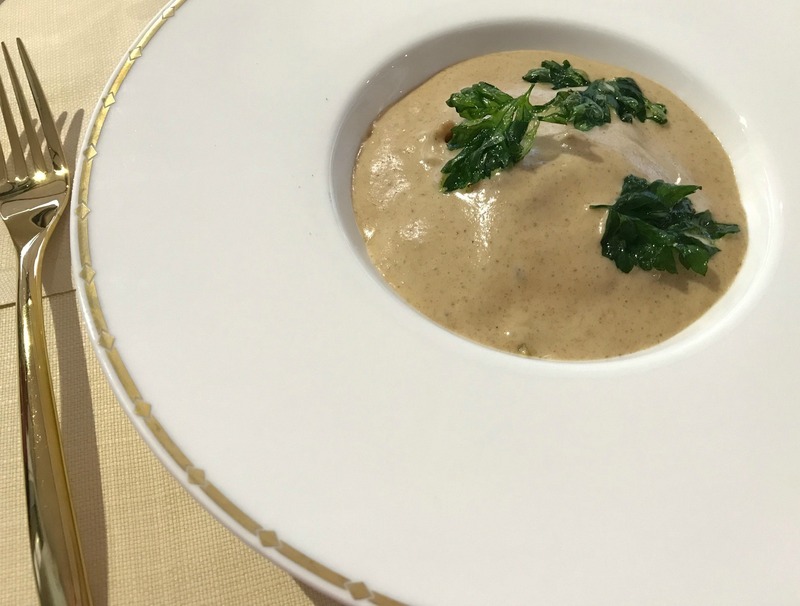 It was easy to see why many hotels and restaurants in Florence have no reason to update, change or innovate their offerings. 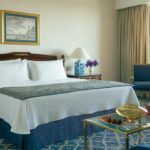 With a sure guarantee that your hotel or restaurant will be filled with patrons, it’s not necessarily a top priority to wow or excite guests with a unique experience. Luckily, we managed to sniff out some worthwhile experiences, which we will share with you below. 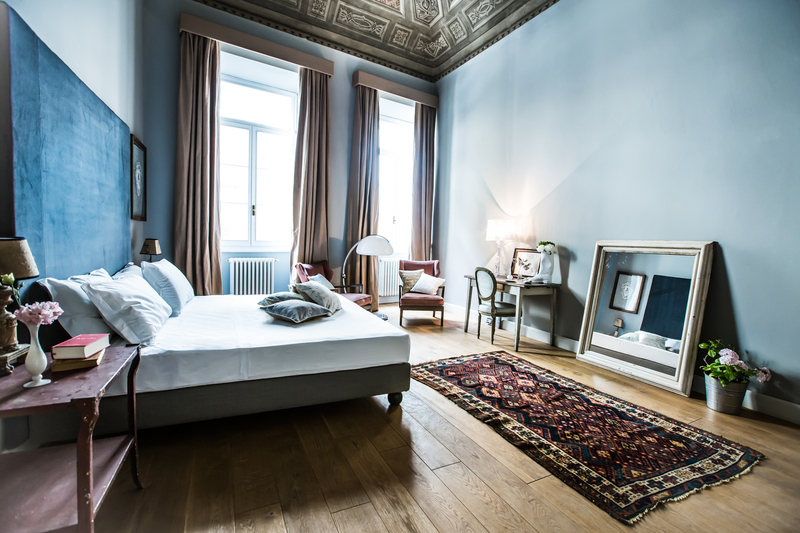 The owners of SoprArno Suites took a different approach when they started their hotel, where we were fortunate enough to be hosted during our Florence visit. 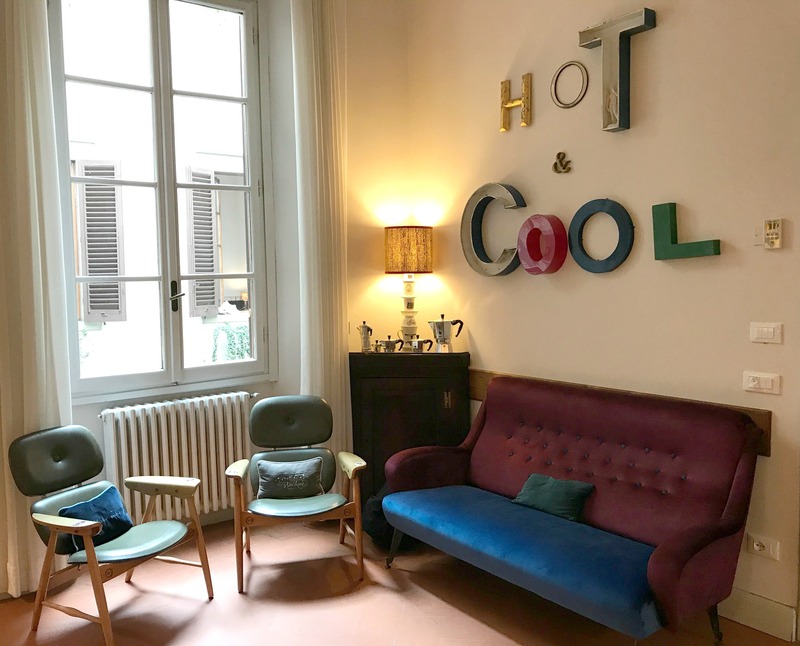 We enjoyed our stay at SoprArno Suites so much, in fact, that it ended up being one of our favorite hotels during our entire journey around the world. 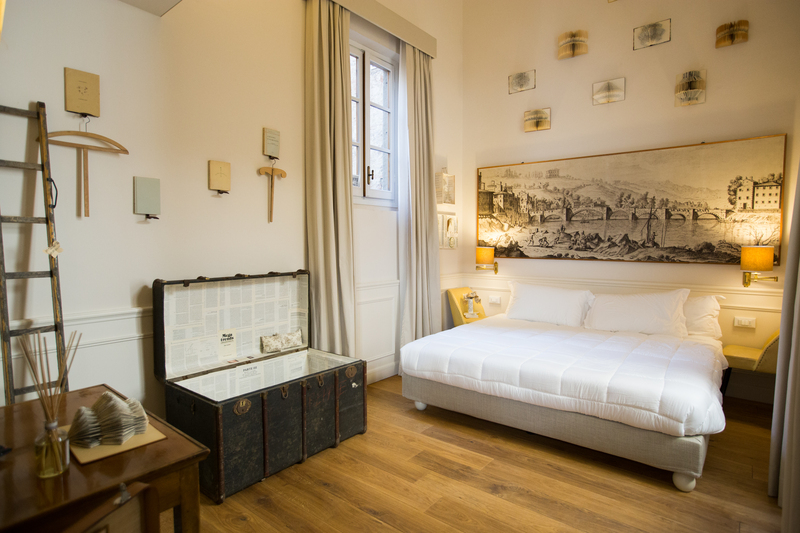 Betty Soldi, a native Florentine, calligrapher, and graphic designer, and her husband, Matteo Perduca, an interior designer, make the perfect team when it comes to executing a hotel with personality and charm. Betty makes all the unique paper art and graphic images for the hotel, all of which add tasteful touches in each room. 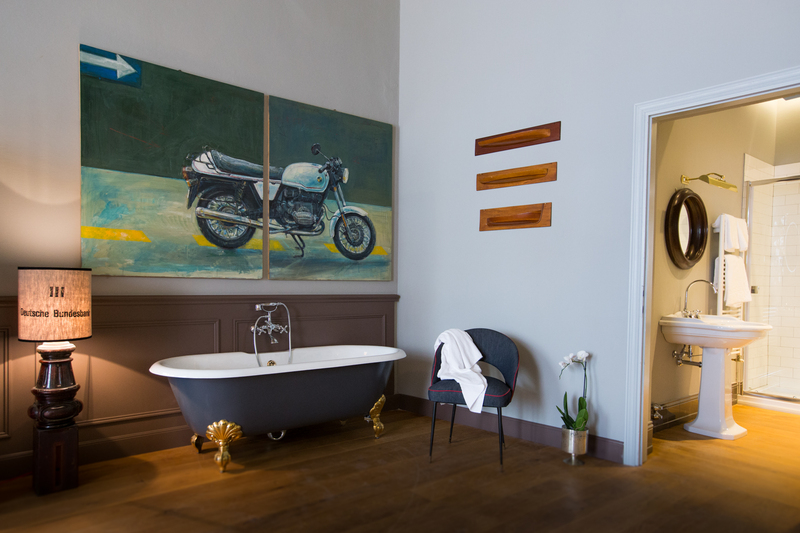 Matteo finds and curates all the retro, antique, and unique pieces that serve as the hotel’s artistic decor, which all come together perfectly to bring the hotel to life. 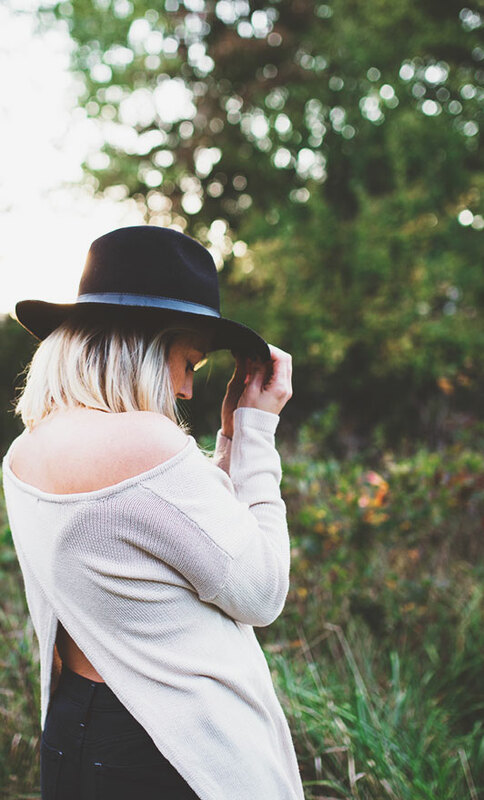 The hotel is cozy and small enough to feel like you’re in someone’s home, yet spacious and curated enough to remind you that you’re away from home on a vacation. It was refreshing to experience part of a uniquely Florentine space that’s crafted in a way that it feels like an Italian oasis. This bed & breakfast is charming and cozy. 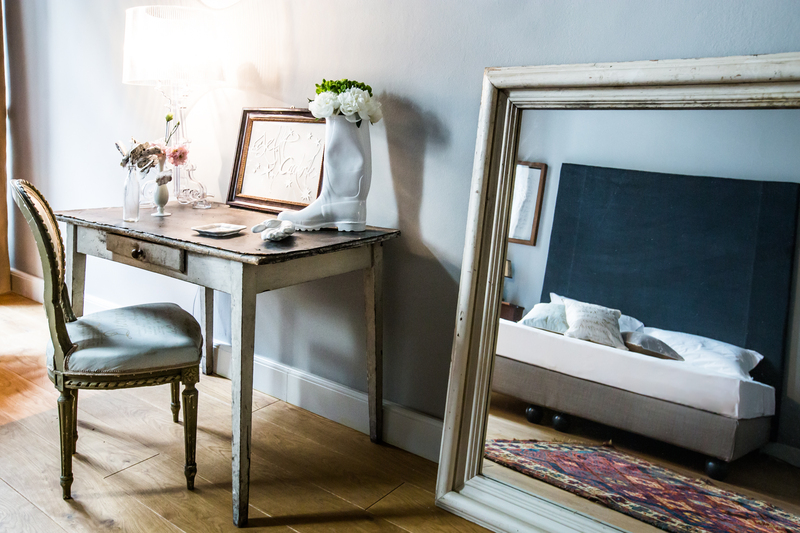 Each room, private and common, offers so much comfort & warmth, not to mention endless eye candy! 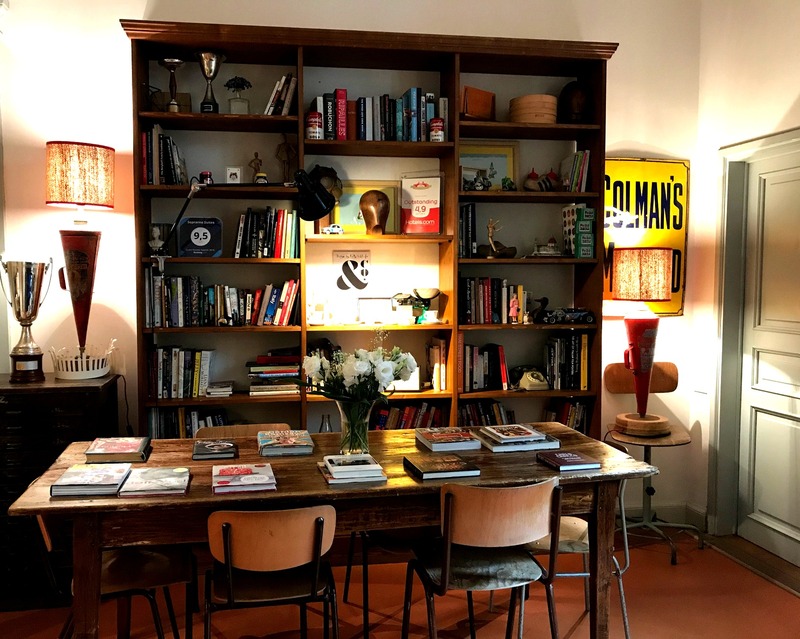 Alberto, the hotel’s main contact and concierge, is incredibly helpful when it comes to giving recommendations on the best eateries and places to visit in Florence. He is also great when it comes to making reservations at restaurants or for transportation within Florence and to and from the city. 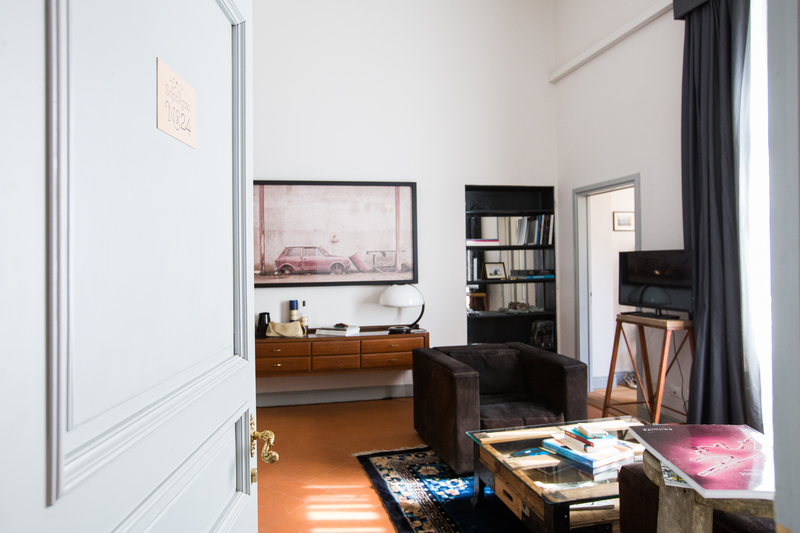 While the hotel is located on the other side of the river, it offers the best of all worlds – it is minutes from the heart of the city and isn’t located in one of Florence’s many noisier piazzas. We loved that the hotel offered continuous water, tea, coffee, and snacks, all available in the common area. Coffee and tea are available in each room for more convenience, as well. 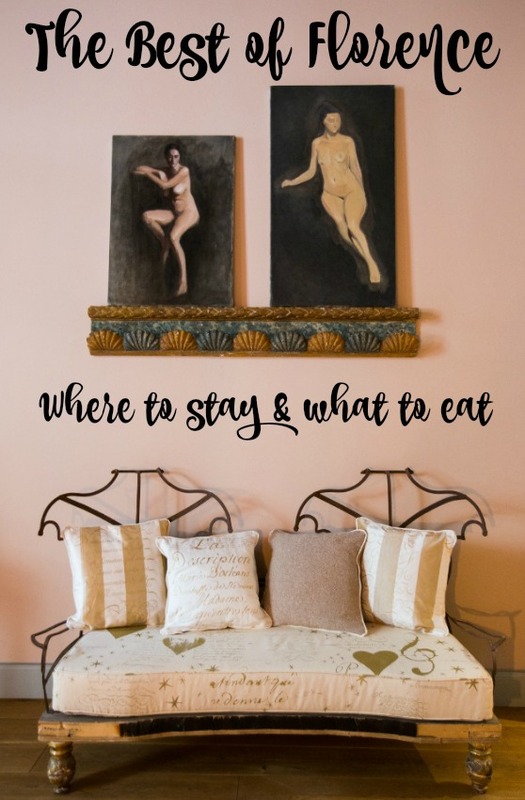 There’s also a restaurant downstairs where you’ll enjoy your breakfast, and where you can also enjoy some of the best sandwiches we had in all of Florence! Interesting factoid: The name of the hotel means ‘over the Arno’ (Arno is the name of the adjacent river), which translates to sopra l’Arno, and is shortened to Sopr’Arno. Lindsay and I are pretty particular when it comes to finding good food, and we look for dishes that we will remember for years to come, that we oftentimes later aim to experiment with in our own kitchens, hoping to recreate the magic. I had a few restaurants and food spots I knew from being in Florence previously, but many of them weren’t the same this time around and/or were overrun with tourists. You’ll find that most restaurants have very similar menus or only serve regional food in Florence. All of this made it difficult to find a memorable meal. We were told by locals that they generally eat outside of the city in the countryside (even 10 minutes out) to avoid crowds and have more quality meals. 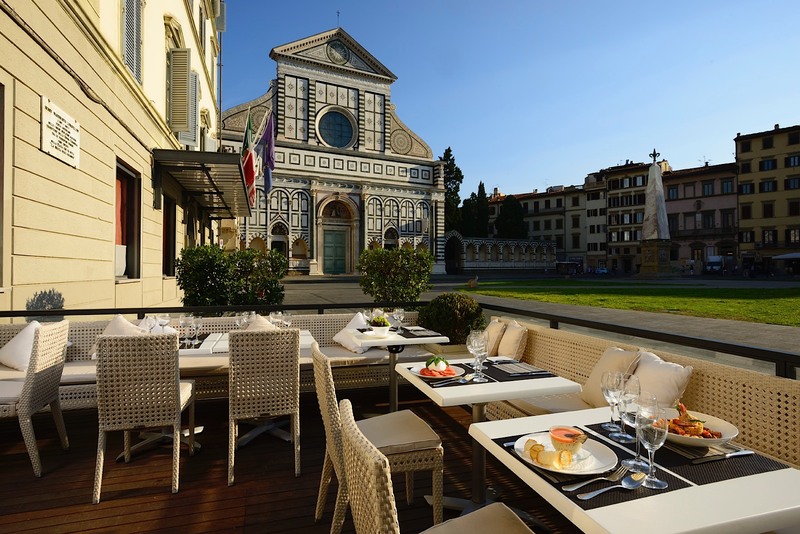 We were lucky to find one extraordinary restaurant within the confines of the city, though, so grab a fork and spoon and meet us at Grand Hotel Minerva on the beautiful Piazza di Santa Maria Novella. La Buona Novella, Grand Hotel Minerva’s onsite restaurant, delighted us with their contemporary and globally-inspired twists on Florentine classics, and quickly became our favorite restaurant in the city. We hope you’re hungry because we’re about to walk you through La Buona Novella’s divine tasting menu. It all starts with a sparkling welcome glass of Prosecco. 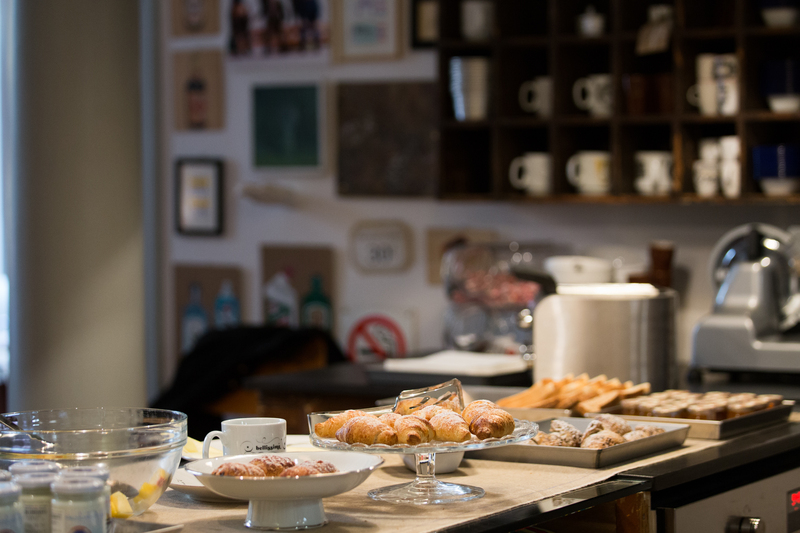 ‘Facciamo un brindisi’ – cheers to the start of a great gastronomic journey at La Buona Novella! 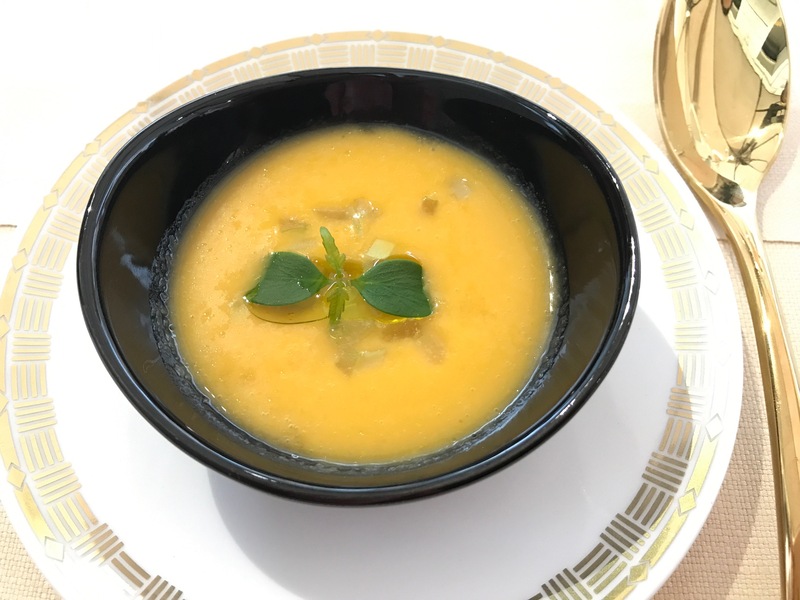 The cold cantaloupe soup is a light way to prepare your palate for the rest of the meal. The cantaloupe used was perfectly ripe and true to flavor. The little bits of celery added texture, and the extra virgin olive oil offered a balancing nutty, rich texture to round out the soup. We knew Florence was known for its street food dish called lampredotto, made from the fourth and final stomach of a cow. The dish is typically served on bread, but La Buona Novella’s talented chef, Tommaso Calonaci, put a special twist on it making it undoubtedly the best lampredotto in the city. I’m not a big fan of stomach or intestines, but thanks to Tommaso, I wouldn’t have changed a thing about what we were served. You wouldn’t even know you were eating tripe; this dish was so tender and flavorful. With a subtle taste of curry and the soft earthy, richness of the bread foam, I could have eaten two plates of this lampredotto. The Uovo Poché seemed like it would be a simple menu offering. With something as common as an egg, it might be difficult to make a thoughtful creation, but the textures and flavors of this egg dish were perfectly matched. The pecorino offered a soft nuttiness, while the peas offered a subtle crunch. 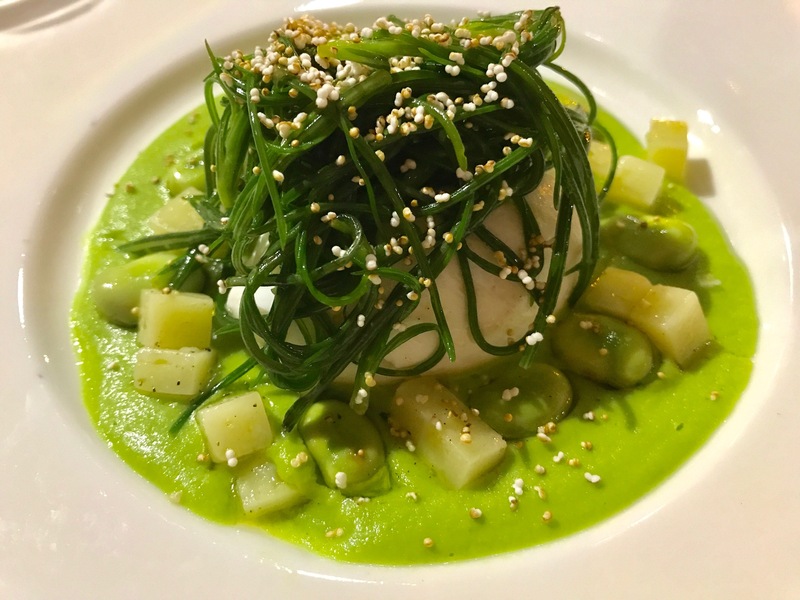 Topped with agretti, a succulent grass plant, which offered an herbaceous crunch to pair with the delicate softness of the egg, this was an absolutely perfect mouth party. While not pictured, we also enjoyed the Gnudi: (Sage, Spinach, Ricotta, Vegetarian Consommé, Tomato Jelly). Made with rich spinach and sage greens, mixed with fresh, airy ricotta, and topped with a tomato flavored jelly, these dumplings were deceptively light in the best of ways. Tommaso didn’t disappoint when it came to the finale of our meal. His creativity with textures, temperatures, flavors, and sweet and salty combinations didn’t end here. The Dolcemente Salato – the chef’s signature dessert: (Potatoes, Almond Flavored Caramel, Olives, Quinoa, Lemon) was one of the most thoughtfully executed desserts I’ve had the pleasure of eating. The coldness of the potato ice cream, the richness of the almond flavored caramel, the airy olive meringue, and the crunchy toasted quinoa came together for a truly unique pairing of flavors. Take our word for it and do not miss out on La Buona Novella. If you’re looking for other eating options, for when you’re not enjoying La Buona Novella, here are our recommendations for gelato, pizza, and coffee. 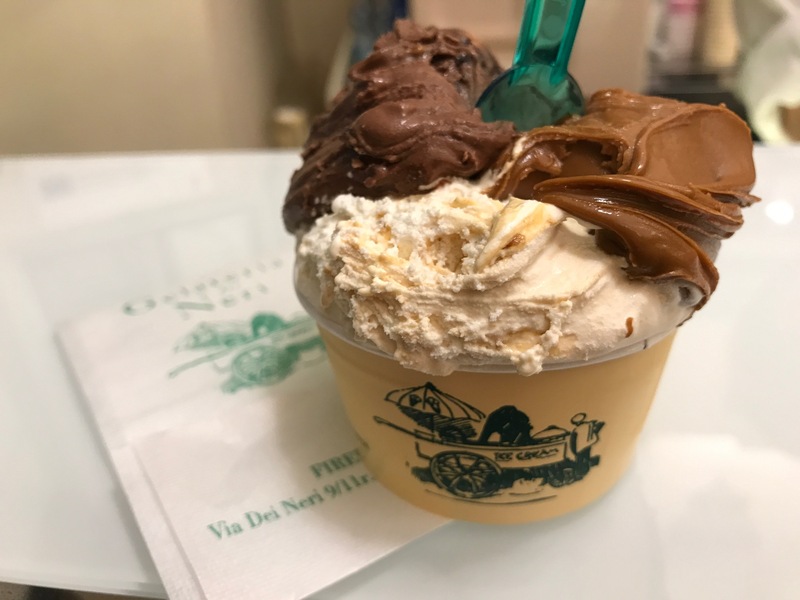 Best Gelato: Gelateria dei Neri: I tried a lot of flavors here and at other ice cream shops. The three shown below (Bacio di dama, Ricotta con i fichi and Caramello di via dei Neri) were my favorite flavors, and this was also my favorite flavor combination. Best Pizza – Il Pizzaiuolo: Lindsay and I ate at this pizzeria three times, and the pizza shown below was the best of them all. We ordered the ‘Prosciutto Cotto’ with Pomodoro, mozzarella fior di latte, prosciutto cotto e basilico, but we asked to replace the mozzarella fior di latte with stracciatella di bufala. (This isn’t on the menu, but just ask and they will upgrade your pizza for a few more euro). 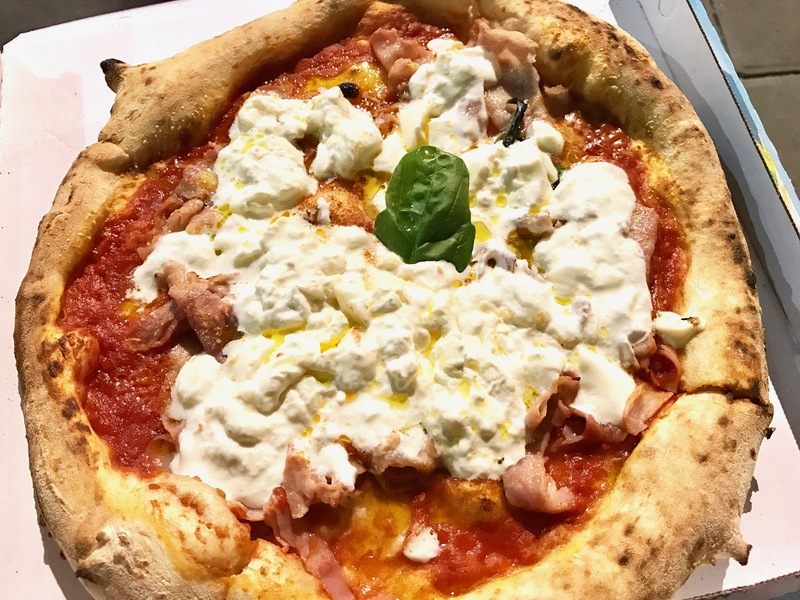 It was the best – the crust was doughy without being burnt, the sauce was bursting with flavor, the prosciutto cotto added nice texture and flavor and the stracciatella was fresh and creamy. 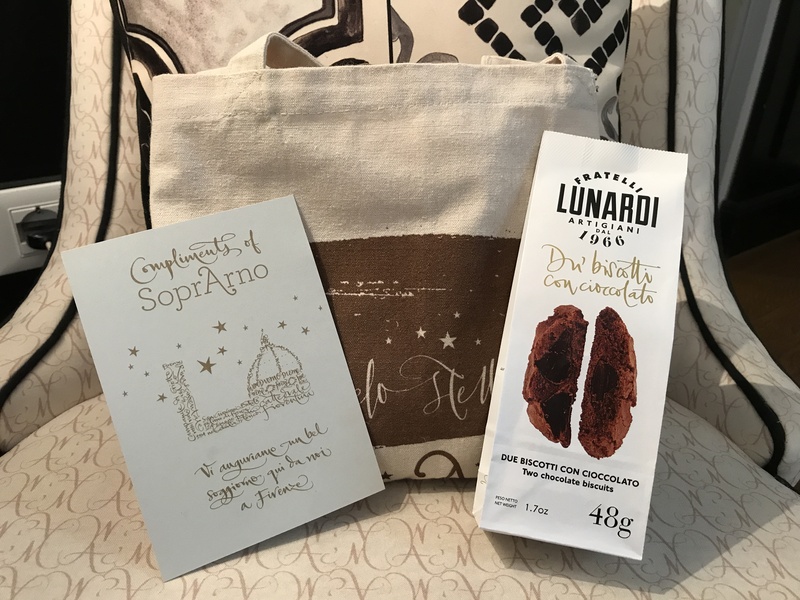 Best Coffee – Scudieri: Located within steps of the Duomo, I was skeptical that Scudieri would have good coffee, let alone the best coffee. I have found that eateries in the most touristy areas typically aren’t the best. In the case of Scudieri, however, I was wrong. 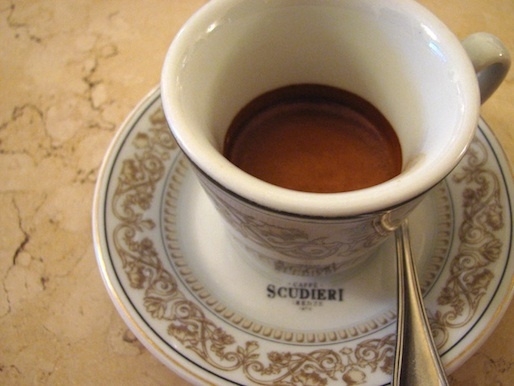 I ordered many ‘macchiato’ coffees throughout the city and was pleasantly surprised to find that the one from Scudieri was the best by far. The ratio of espresso to milk to foam was perfect and the foam had the best consistency and flavor of others I tried in the city. A simple espresso is shown below, but I ordered a macchiato, which is a shot of espresso with a little milk and some foam. If you like sugar in your coffee, try it with honey here. I think the honey cuts any bitterness while adding a more subtle sweetness. Let us know if we can help you plan your time in Florence, or if you head to the neighboring region of Emilia-Romagna, reach out! We have great restaurant and food recommendations there, too. We hope you enjoy Florence’s charm, cuisine, history, and architecture as much as we did!